There are several different styles of shutters out there in the market. There are different sizes, material and shapes that make shutters a unique touch to any project. 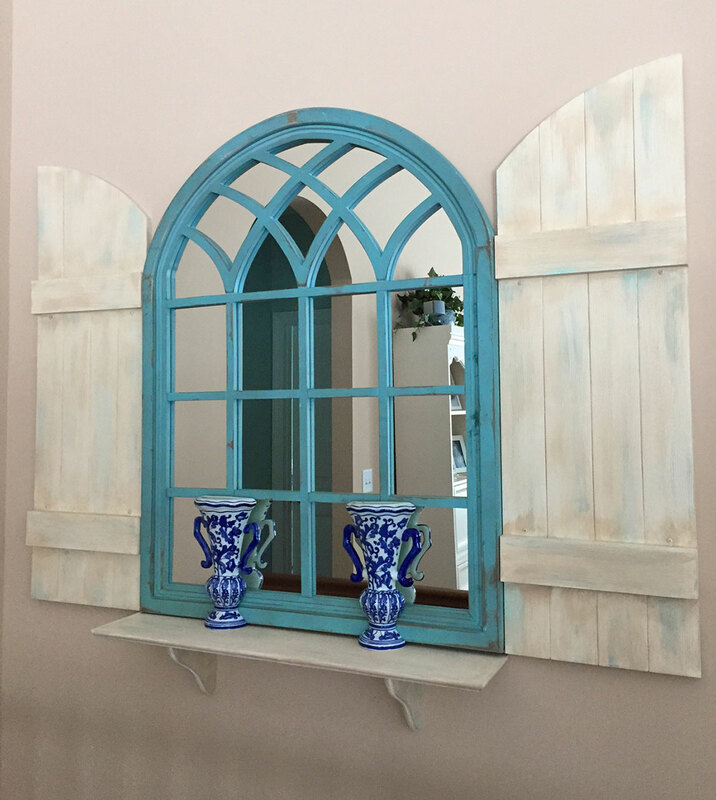 Recently, Donna from highland Heights, Ohio sent in a project picture featuring a pair of paintable Mid America four board shutters with an arch top. 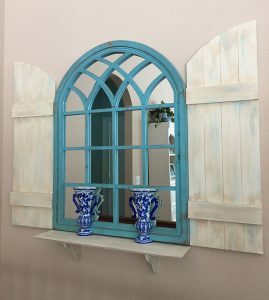 Typically used on the outside of the home, our customer chose to go off the beaten path and install the shutters inside. She painted them with creamy grays with a touch of aquamarine. 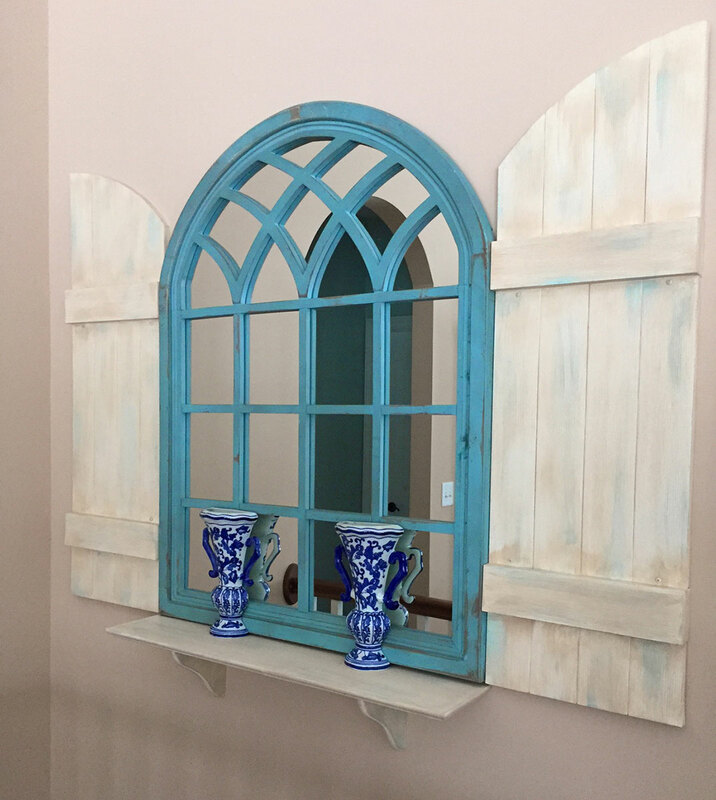 The customer installed the shutters with a DIY mirror in the middle. We think it looks great! First, the Mid America shutters are made out of vinyl materials. Vinyl is not only durable, but it also is fade resistant. This is perfect because shutters are installed on the exterior of one’s home! Potential sun damage is a real factor to consider when purchasing exterior shutters. Essentially, these shutters will not crack or fade from being the natural effects of weathering. Finally, the addition of these shutters ton one’s home is the most cost effective way to add value to one’s home.